I'd never really paid much attention to blue nail polishes, that may be because we've never before had such a gorgeous range. Once more Bourjois have come up with the goods with Bleu Fableux, it's a eye catching creamy, bright cornflower blue that's sure to draw attention. I'm a huge fan of the So Laque range from Bourjois, they promise Ultra Shine and up to 7 days hold, while I haven't reached 7 days yet, Bleu Fableux doesn't disappoint on shine or formulation. It's a creamy polish that needs two coats for full opacity but it applies like a dream and leaves no streaks. Once I had spotted this beauty on the shelf my heart skipped a little beat though, I was sure it was a dupe for the stunning new YSL Bleu Majorelle that I had spotted on Fancy Face Lorraine's blog at the weekend. She allowed me to use the photo below (she's awesome like that) but it would seem Bourjois is just a shade too light to be an exact dupe. I happened to find, what I believe is a closer match to YSL in Kiko's 336, as seen here on Kelly's blog , selling for just £2.50. It's closer, right? Either way, if electric blue floats your boat, rest assured you'll be spoiled for choice this season. With the worrisome reports from Lorraine that YSL chipped on day two, I think I'll be sticking with Bourjois for now. Bourjois polishes sell in Superdrug, Boots and all large pharmacies. They're usual RRP is €7.49 but they're on special in Boots at the moment: 2 for €11. 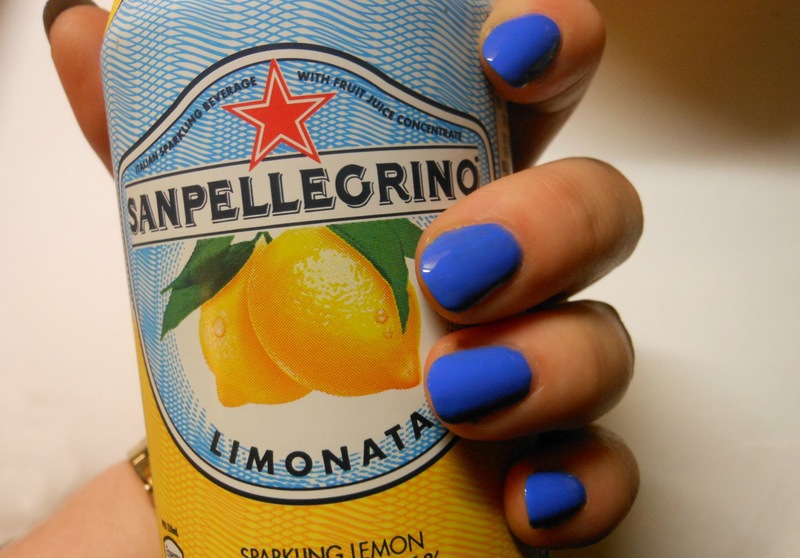 Are you a blue nail fan? Are there any more I should check out? 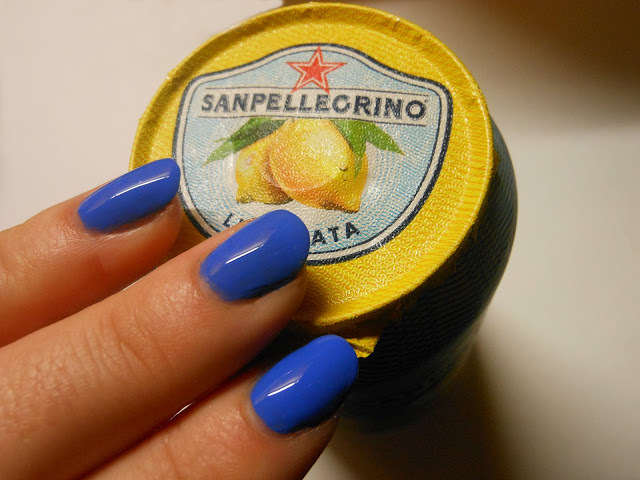 I think this blue might be the perfect toenail colour for the summer. I'm totally in love with this shade. 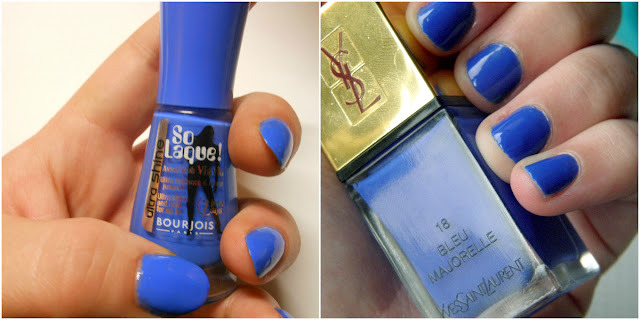 Gorgeous colour :) Bourjois is a great dupe of that YSL. significant increase - nearly 10% higher with the larger rate of interest.